The Positive Mind Center is an NYC institution for 4 decades in the making. 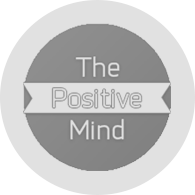 Sharing our most recent guest appearance on the Positive Mind podcast, featuring TMC founder Catherine Birndorf, MD and Program Director, Paige Bellenbaum, LMSW. The episode explores the key concept of matrescence — the sometimes anxiety-provoking phase of stepping into your “new mom” identity. The good news? That with the right type of care, radical acceptance (and self acceptance) the journey into motherhood will become more enjoyable as you gain confidence along the way.